Throwback….! Remember, back in the day? Bumpin’ and grindin’ on the best hiphop and r&b? Well, this is it baby! We gonna take u back there! At Hypnotize we take you back in the day of R. Kelly, Ginuwine, Aaliyah, Faith Evans, Montell Jordan, Puff Daddy, DMX and all those other oldskool favorites. Hip Hop, R&B, dancehall and reggaeton from the 90’s and 00’s will blow up in Gemert. It’s gonna be a big PARTY UP IN HERE! 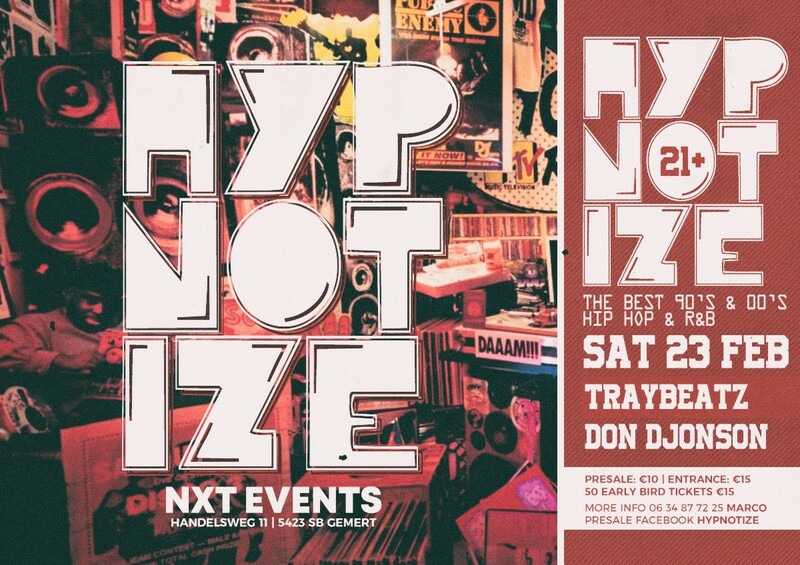 Hypnotize is an oldskool concept by DJ Latin Mania, a wellknown latin DJ and organisor of the succesfull events of Latin Mania Events. 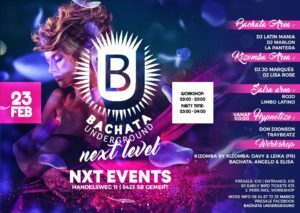 Hypnotize will take place every month, together with Bachata Underground, but will have it’s own identity and it’s own area. Entrance is for both Hypnotize and Bachata Underground as well: 2 events for the price of 1!